Lewis Hamilton has done the right thing in deciding to leave McLaren and join Mercedes. That is the opinion of former world champion Damon Hill and former McLaren drivers David Coulthard and John Watson, who both agree that Hamilton was shackled at the Woking based team. "Lewis has been like a caged bird at McLaren," Hill told the Daily Mail. "He'd been managed to within an inch of his life. I can't blame him for looking to move elsewhere. Lewis needed to leave McLaren to stretch his wings." 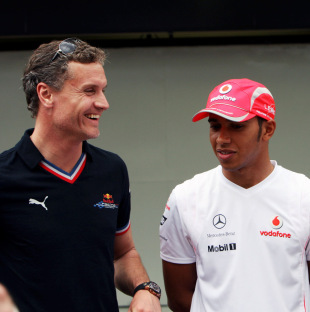 Hamilton has been managed by McLaren since he was a young boy and Coulthard thinks it is now time for Lewis to grow up, make his own business decisions and fly the nest. "You don't live your whole life at home, even though the fridge is always full and the laundry gets done for you. At some stage you have to move out. Grow up. Become a man. This is that moment for Lewis," said Coulthard in his column for The Telegraph. John Watson, who drove for McLaren between 1979 and 1983 takes a similar stance in saying that Hamilton's decision was motivated by a need to take control of his own destiny. "It's like a kid growing up and leaving home, getting away from the parental control," said Watson. "When you become a McLaren driver everything about you becomes, in effect, the property of the team. McLaren are a great team to drive for but they've got limitations and I think Lewis felt those limitations were intruding into the time that he wanted to develop, from a non-motor racing perspective. "Because he came in so young he doesn't know anything differently. Jenson is a more rounded personality and character by virtue of life experiences. Lewis's life experiences are very much contained within the strictures of McLaren." Hill added that McLaren's unusual policy of keeping its drivers' race win trophies was something Hamilton also resented and a factor in his move. "I could never get my head around the logic that the team takes the driver's trophy. It's the principle, not the trophy, that is at stake. After you have won a championship, and jumped through a lot of hoops, there is a point when you think: 'This is my life'. You can have a bellyful of becoming a performing seal. You don't want to be on probation for your whole career. "Of course, you still have to fight inside the car; but there is a time when, surely, you have proved you can motivate yourself. These are things Lewis has tried to balance."